Loughlin is a co-educational, college preparatory, Catholic high school located in beautiful Ft. Greene, Brooklyn. In 2017-2018, Loughlin enrolls nearly 700 students, making us the fifth largest Catholic high school in Brooklyn and Queens. Est. in 1851, Loughlin has a long and proud history - the school band played for Lincoln's funeral procession in 1865 - but today, our vibrant school is home to one of the finest STEM programs in New York City, a renowned music program, with one of most decorated athletic programs in the country. On average, 99% of our seniors graduate each year and at least 97% attend college. The majority receive college scholarships. More than $15,000,000 in scholarships and aid are typically offered to our graduates. College Credit Opportunities with Advanced Placement courses in: AP Calculus, AP English, AP Environmental Science, AP Music, AP Physics, AP Spanish, AP US History, and AP World History. We have a technology-rich environment with school-wide wifi, Smart Classrooms, and mobile devices available to all students. Loughlin’s academic curriculum provides a full range of courses to meet the needs of every student, and prepare them for success in higher education. Honors level courses are offered in Math, Science, English, Spanish, French, and Social Studies among other choices. We offer 9 Advanced Placement courses, allowing students to obtain college credit while at Loughlin. We also provide courses in Religion, Music, Art, Physical Education, Health, and Technology. Loughlin maintains modern facilities with wireless internet service throughout the building. We are proud to have modern science laboratories for Physics, Chemistry and Biology, including a new Lab for our new Biomedical Science program. We also have a new Engineering Lab to support PLTW @ Loughlin. A new Art Studio was also added on the ground level in 2016. The Cozzi-Murray Performing Arts Center and Lancer Music Studio is considered one of the best in Brooklyn. Our grand auditorium seats more than 1000 and is one of the largest performance venues in Fort Greene or Clinton Hill. We offer a full service Library and Media Center, as well as several computer labs including a mobile lab. Our teachers are committed to integrating technology into the curriculum through the use of interactive SMARTboards in each classroom. Our School Yard and Track were completely renovated in 2016-2017 and our historic and famous Gymnasium is undergoing its most extensive renovation since 1932. We also have one of the largest Green Roofs in all of Brooklyn. Loughlin continues to build upon out rich and storied athletic history.We proudly offer sports programs for both girls and boys, featuring 16 different sports, including rugby, soccer, and lacrosse. Loughlin consistently fields a strong and competitive team basketball team. The boys freshman basketball team won city championships in 2017 and 2016 and the boys varsity team won the Brooklyn/Queens Diocesan championship in 2016. Alums Keith Williams, class of 2017, is now playing for the Cincinnati Bearcats in the NCAA Division 1, and Mike Boynton, class of 2001, recently became the head basketball coach at Oklahoma State. Loughlin had a 4x4 track victory at the 2016 Millrose Games and a qualification for Nationals. Our track & field teams have garnered 21 Penn Relays high school championships, one of the highest tallies in the history of the games. Loughlin also has coed teams in indoor and outdoor track, cross country, and bowling. Our varsity bowling team won championships in 2014 and 2015. Loughlin also offers students opportunities to participate in baseball, softball, volleyball, and cheerleading. Bishop Loughlin is a diverse community. We welcome people of all races and beliefs to become students, faculty and staff at our school. Our students and families are primarily African American, Latin American, European, and Asian American. A majority of students have Caribbean/West Indian and Central American family backgrounds. Loughlin students come primarily from Brooklyn, Queens, and Manhattan as well as the greater metropolitan area of New York. Loughlin welcome families of all races and beliefs. Most students tell us that they love Loughlin because of the "family atmosphere" and inclusive activities. One reason for this atmosphere is the multitude of extra-curricular activities available for all students. We are also proud to offer a representative student government in addition to the many clubs. Loughlin students show their strong commitment to community service through our Campus Ministry program, including Lasallian Youth service projects, and by supporting St. Mary’s, our sister school in Kenya. We are "closer than you think" - just a few short blocks away from the A,C and G lines, and a short walk from Atlantic Terminal and the Barclays Center. Our neighbors include: BAM (Brooklyn Academic of Music), Pratt, St. Joseph's College, the Brooklyn Library, the Brooklyn Botanical Gardens, the Mark Morris Dance Company, and other Brooklyn landmarks. The following certifications and achievements demonstrate Loughlin's ongoing commitment to excellence. Loughlin has achieved accreditation by the Middle States Association of Colleges and Schools. 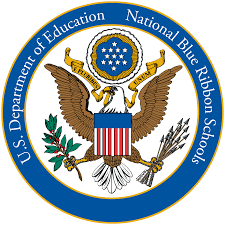 Loughlin has been named a Blue Ribbon Exemplary School by the United States Department of Education.